USAID recently launched its second Grand Challenge for Development, All Children Reading, that follows on the earlier Saving Lives at Birth. Both of these endeavors are commendable. USAID should be experimenting with new funding models to create programming flexibility and expand its impact. The “grand challenge” model is one that has worked in the past – with private industry and with US Government agencies. 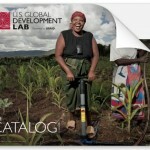 Yet, I can’t help but notice that USAID has four challenges in its own grand challenge effort. USAID likes to point out that 600 organizations submitted proposals to Saving Lives at Birth, with nearly half of the applications coming from outside of the United States and more than a quarter from developing countries. That’s certainly a record. But look at who won funding – only 4 are from the developing world. Other winners like the World Health Organization may not be American, but certainly are not hurting for their own funding. Now the reason for this is easy to see. With 45+ pages of submission requirements, there is a significant barrier to entry for Grand Challenge applicants who do not already know USAID processes. Streamlining procurement is an internal grand challenge for USAID throughout the agency. Pursuant to 22 CFR 226.82, if the successful applicant is a for- profit organization, any program income generated under the award will be deducted from the total program cost to determine the amount of the Founding Partners’ funding. […] It is the Founding Partners’ policy not to include profits of any nature under agreements. Like the procurement paperwork, this issue is larger than Grand Challenges, but its impact is even more poignant here, where USAID is specifically looking for solutions that are affordable, sustainable, and scalable. Saving Lives at Birth offered $250,000 grants and All Children Reading has $300,000 grants, which sounds impressive if you don’t know that the average USAID award is in the 10’s of millions. In that context, even $300K is a rounding error. More importantly, the grants are not big enough to change business models. The usual suspects who will win the majority of awards will use the funding as an incremental addition to projects they’re already doing. Even for original ideas from new entrants, $300K is not enough to attract start-up professionals who can take ideas to scale. Rather than spreading itself so thin with 25 awards, USAID should concentrate funding into 10 awards of $700,000 or better yet, 7 awards of $1 million each – that’s funding that will move the needle. While the Saving Lives at Birth at least had the option of supporting a promising project with up to $2 million in transitional funding, the All Children Reading challenge doesn’t. As it’s currently written, the grant applicants can only expect a one-time disbursement of $300,000 that should be used within two years. Have there been any projects that scaled to 100 million children in the developing world with just $300K and in less than 2 years? Again, rather than putting multiple small bets on 20+ ideas, USAID should concentrate its funding on a few projects for a longer term, with a specific focus on funding the actual scaling-up activity. Better yet, why not fund initiatives that are already showing reading impact? I can think of at least five proven approaches that would all scale to millions of students with $1 million each over five years, and USAID could still bet $500K on 4 more new ones.